NYC based DJ Cassidy has performed at many prestigious events, including the 2009 inauguration of President Barack Obama and the 2008 wedding of Beyoncé and Jay Z, so his first studio album, Paradise Royale, should be impressive. 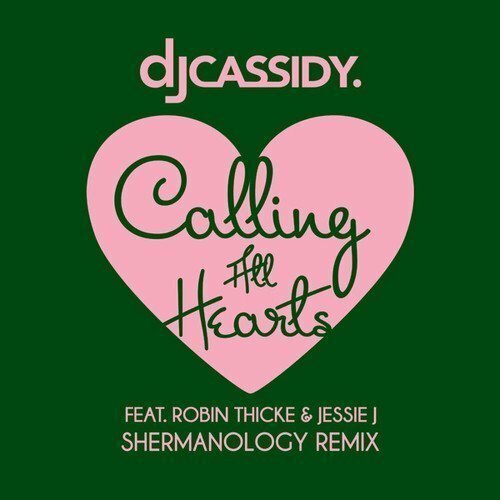 In preparation for the album, which drops sometime this month, DJ Cassidy has just released an excellent remix of his single "Calling All Hearts" featuring Robin Thicke and Jessie J. The remix by Shermanology, an electronic trio from the Netherlands, turns the funk and R&B inspired original into a dance club hit perfect for summer. DJ Cassidy tells Billboard, "Shermanology executed the union of live and electronic musicianship in true anthemic fashion, calling all worlds of dance music to the dance floor in one shot." DJ Cassidy also previously released his collaboration with R. Kelly, "Make The World Go Round," back in March. Head over to DJ Cassidy's official website for more.